Whether you’re a small start-up whose looking to grow their team or you’re a large international corporation, promoting inclusivity and diversity in your workplace will create not only a positive company culture, but also increased business prospects around the world. So how do you make sure your company fosters an inclusive environment? 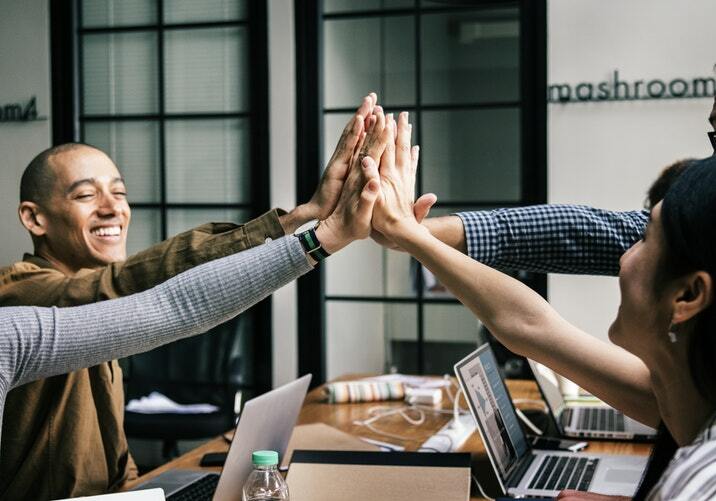 Here are five strategies that’ll help you increase diversity in the workplace and reap the benefits of a culturally rich business. Be open to opportunities where you can expand your cultural horizons, keep up to date with international news and politics and expose yourself to cultural traditions that differ from your own. Whether you do this through travel opportunities, visiting teams abroad, or actively engaging with different communities where you live, you’ll learn a lot about cultural appreciation and how to be sensitive to issues such as religion, race, gender and sexual orientation. Since you may have sought out opportunities to educate yourself and increase your understanding of diversity, it’s now your responsibility as an employer to relay that information and knowledge to your managers so that they can effectively and fairly deal with any dilemmas that could occur. Promoting an inclusive work environment won’t be a success unless everyone understands their place and how to interact with and be welcoming of people with diverse backgrounds. Addressing the issue in a meeting will give you the chance to answer any questions your team may have and make sure that everyone is on board with this business ethos. Instead of avoiding hiring someone with a different background to you, culturally or otherwise, because of the fear that these divides will inhibit professional synergy, embrace those differences, since varying perspectives will enrich not only the relationships within your workplace but also the place your business holds in an ever-changing international market. Encourage your team to get involved in appropriate ways to celebrate each other’s cultures and traditions, from lighting candles in the office on Diwali to sampling home made goulash. If you’re truly eager for a diverse workforce to thrive then accommodate the individual needs of your employees. You’ll find that it’ll be appreciated and will likely lead to higher rates of productivity and loyalty to your business. For example, you can recognize religious holidays or times of the day and talk to your team about how best to accommodate those, or if you’ve employed a single working parent, give them the time to be flexible with their hours around their children. Do you have any tips on enhancing diversity in the workplace? Talk to us about your experiences on now on Facebook, Twitter and LinkedIn. If you’re looking for more career and professional advice then head on over to read our other blogs here.